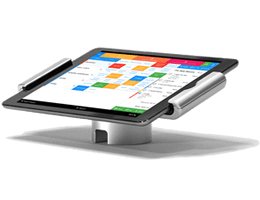 Cloud POS Systems are generally referred to iPad POS Systems, a combination of iPad, POS App, Printer and Cash Drawer. Both our POS Systems below are iPad cloud-based. Here are our Cloud Based POS Systems. Perfect for cafes and coffee shops, Cloud based iPad Point of Sale with a small ongoing fees of $99 per month. Awesome and stylish iPad Pro with a 12.9 inch display. Powerful and efficient and comes with a $99 p/month ongoing fee. What is the difference between these systems? 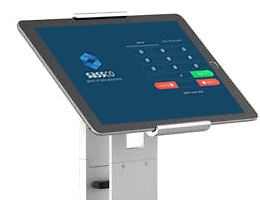 The 2 iPad Systems use Sassco POS Suite Apps featured on this website, they are cloud-based programs with $99 p/month ongoing fees. The Traditional and Surface POS are non-cloud and have $0 ongoing fees. If you purchase any of the iPad bundles above, you will be required to pay $99 p/month for as long as you use Sassco POS Suite. The other 2 systems have no ongoing fees. We usually ship the order within 1-2 days of receiving the order. Once payment is made, we will contact you to confirm shipping details. Prefer to build your own POS? Start building your perfect point of sale system by adding printers, cash drawers and apps. Please remember to include your contact details (e.g: email or phone), and we will be in touch shortly.